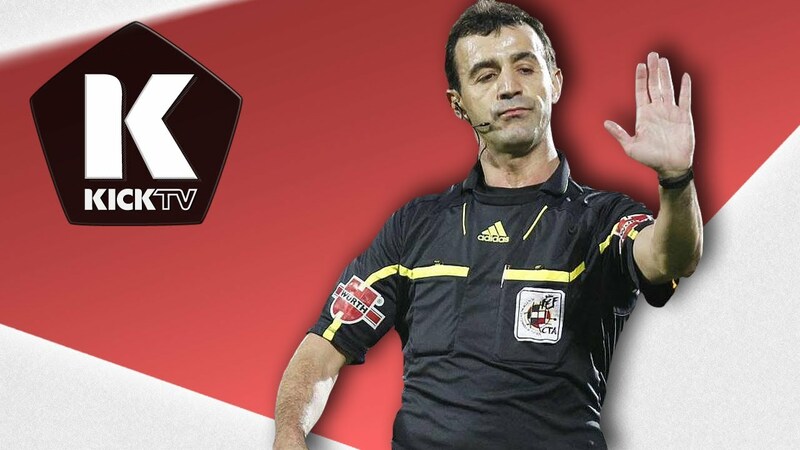 Yet another documentary about referees! Will they stop making them? And will Fikri Jermadi stop watching them? Here’s a funny story: ‘The Ref’ is probably the first football film I watched at the start of this series of football-related reviews. 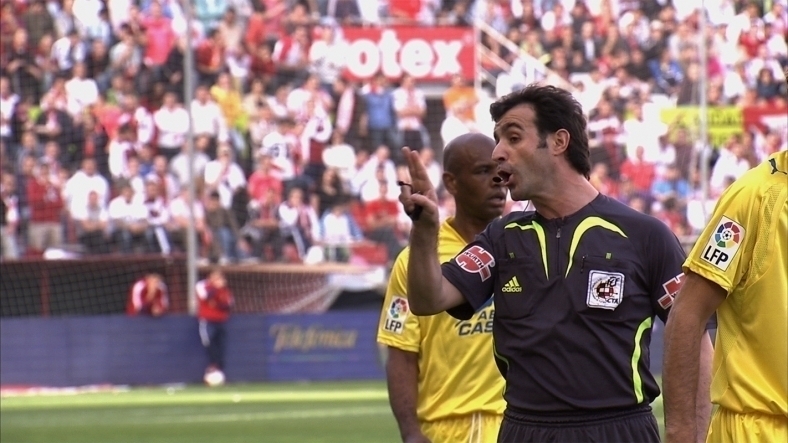 I was intrigued by the idea of a documentary that follows a specific referee (in this case, Miguel Ángel Pérez Lasa), and I chanced upon the name of Justin Webster. He is a filmmaker based in Spain who specialises in the making of football-related documentaries. He was a resource person for the book ‘El Clasico’ by Richard Fitzpatrick. It was an interesting book, but I felt that for those who want more, ‘La Roja’ by Jimmy Burns might cover more areas more comprehensively. He also made a documentary called ‘FC Barcelona: Confidential’, supposedly an intriguing look behind one of the world’s biggest clubs. Given how the club itself was embroiled in a lot of turmoil over the past year or so, a more updated version might bring in a higher viewing rate. I say viewing rate, because judging by the documentary’s length and format, it appears to be a film made for TV. It makes for a nice enough viewing over a languid dinner, but perhaps that dinner should be a fast food delivery type, because in many respects, this film is similar in that it is easily disposable after its viewing. We follow Mr Lasa as he prepares to take charge of a couple of matches. We see him getting ready in hotel rooms, putting on his suit and making sure his tie is just right, before knocking on the doors of his assistants. It brings to mind how closely knit refereeing groups are. They tend to be from the same group or region, depending on the match in question, and the communication between them is further strengthened by a stronger personal relationship off the field. For example, we see the refereeing team pore over some newspapers earlier in the morning, preparing for the upcoming match. They discuss the possibilities of certain players playing. More to the point, the issue of how some players are likely to dive is also brought up. As much as referees are supposed to be objective, they are ultimately human beings. In this case, we see a concerted effort to ensure that certain things, based on the recent past, are not repeated. I can’t assume that all refereeing teams are the same, but this at least gives credence to the idea that players like Cristiano Ronaldo, who has a tendency of going to ground easily, are penalised when they are actually fouled. We then follow the team as they make their way to the ground. Inauspicious for the most part (though not to some eagle eye fans, who manages some barbs in), they head to the refereeing room and go through the motions. The teamsheets are brought to them, and they analyse who will be starting and who will be on the bench. In many cases, a pitch inspection before the match itself is done; the referee spotted a hole in one of the nets, and this is brought to the attention of the groundsman. They then get ready, step out into the world and blow that whistle. In one instance, he even admonished one of his linesman, who had let out a whoop of delight at a wonderful piece of play. He did it because he nearly called for offside due to his assistant’s reaction. Nothing came of it, but to hear the man in charge tell off his subordinate like he was a schoolboy was startling, to say the least. It reminded me of David Elleray, the English referee of some renown in the 90s, who was a headmaster in his day job. Speaking of which, we also get to see the referee in his day job. He sells bathrooms and kitchens to people, which sounds pretty boring but is a fruitful enough job that allows for a stable income outside of the game. At the same time, he is of some renown in Spain itself, the home to a lot of football fans (and that is understating things more than a bit). As such, he gets recognised every once in a while, but tries hard not to allow that affect his actual job. Jokowi has fans even in Spain. The only downside may be the lack of any real drama that could have given this film the extra oomph. This is down to several reasons. One is that Justin was not able to truly follow the referee for an extended enough period of time. I had the impression that filming was done over a few months, at most. That sounds like a lot, but the fact remains that the football season is long and hard, and the period chosen, while closer to the end of the season, does not in any way reflect the tension one may feel at around the same stage. 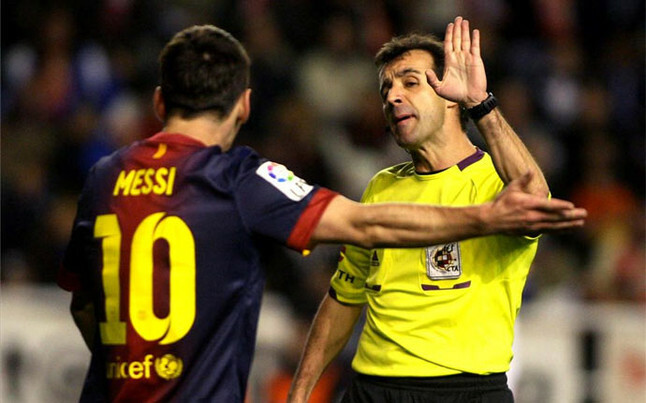 Yes, he managed to referee the Barcelona derby in the Espanyol vs FC Barcelona match (“Raul! Carles! Raul!”), but even that was devoid of the kind of tension that surrounds the biggest matches. Due to their lack of competitive edge, it becomes a derby in name only, though I’m sure many of the players would dispute that. That leads to the second point, in that…there is no drama. At least, no real drama. Documentaries such as these cry out for the kind of drama that hooks the audience’s attention. Of course, drama can’t be created out of thin air, but some documentaries really lucked out in the time of their production. I remember ‘Wrestling with Shadows’, for example, which followed Bret Hart at a time when they were granted an all-access pass to pretty much everything. It was good…since they also happened to be recording the Montreal screw job. Staying a little closer to home, we can even see this in the Martin Hansson documentary, when a mere attempt to document his day-to-day life became emboldened by the controversy involved the French and Irish national team. There is one moment that stayed with me, though. In his hotel room, prior to calling up the rest of his team, Mr Lasa watched portions of a highlights package from the English Premier League. He noted how the English tend to play honestly, staying on their feet whenever they can.